This family owned caravan and camping park was established in 1967 by the current owners’ father. The park covering an area of 4.5 acres consists of 36 pitches catering for tents and caravans/motorhomes. The business opens annually from Easter until October. The park lies on the edge of the Atlantic Ocean with views of Clare Island, Inishturk, Achill, Mweelrea and Croagh Patrick. 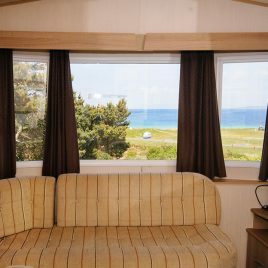 It has direct access to its own sandy beach, one of the most beautiful beaches to be found in the heart of Connemara. Dolphins can often be seen from the shore. Shops, pubs and restaurants are a short walk from the park.